MUMBAI: It’s raining covers for Tareefan, the glossy track from Veere Di Wedding, starring Kareena Kapoor Khan, Sonam Kapoor, Shikha Talsania, Swara Bhaskar. But the one that caught the eye of producers and leading ladies of the movie is the one by Youtuber Lisa Mishra. The song is the right fusing of Tareefan with another loved song Let me Love you by teen heartthrob Justin Bieber. Tareefan, originally sung by the King of rap, Badshah and composed by DJ Qaran, is rocking the charts since its release a fortnight ago. Lisa posted her version of the song on her Instagram handle tagging producers and stars of the movie. The post was immediately noticed by Sonam Kapoor, Rhea Kapoor-the producer of the film, along with ace actor Anil Kapoor and his son and actor Harshavardhan Kapoor. The cover version was released over the weekend, was raved about by the entire Kapoor clan and shared on their respective social media handles. 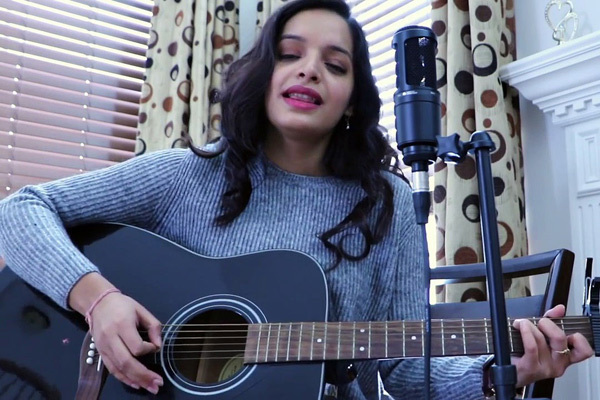 Lisa Mishra, an avid Youtuber, known to have released unique covers for many chartbusters like Dil Diyan Gallan and legendary songs like Tere Bin Nahi Lagda. Having over 1 million subscribers on her YouTube channel and a cool 56.6k followers on Instagram, including the likes of Anoushka Shankar, Lisa's bio reads - "Brown girl coding by day and singing by night." The cover has received likes and shares by not only Sonam and her family but also comments from the original singer Badshah and composer Qaran.